Bama Performance - Who is Bama? We create a unique driving experience that is safe, reliable and performance-focused, delivering enthusiast's peace of mind at the most competitive price. Our history of hard work keeps us grinding towards the pursuit of perfection. With the goal of becoming the most respected aftermarket tuning brand, the core values that fuel our team are below. Our energy and motivation comes from our customers - they're the heart and soul of our company and drive us to deliver an exceptional experience. From start to finish we focus on simplicity providing a unique, straight-forward process for our customers. Attention to the details is what allows us to stand-out. With a detail driven team, we deliver an exceptional product that is truly unique. By exceeding expectations and continuing to innovate, our passion for unbeatable performance is apparent in everything we do. When the Bama Performance team builds a car, we set out to do something unique. 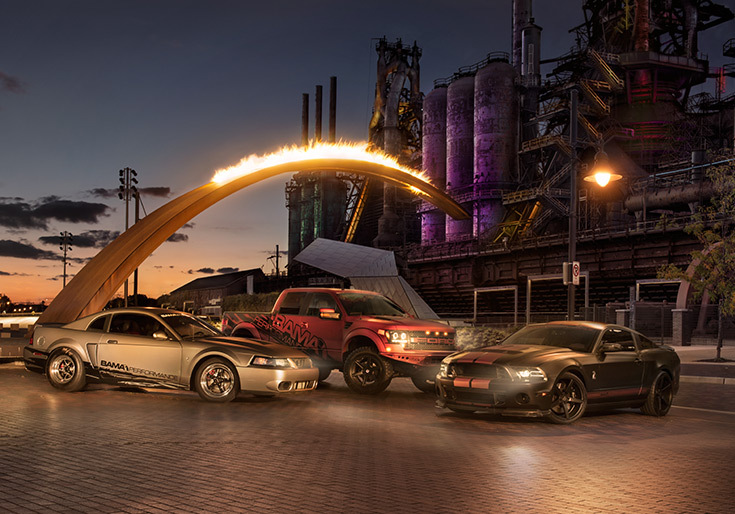 Our fleet includes a centrifugal supercharged 2004 SVT Cobra, twin screw supercharged 2014 Shelby GT500 and twin-screw supercharged 2011 SVT Raptor. 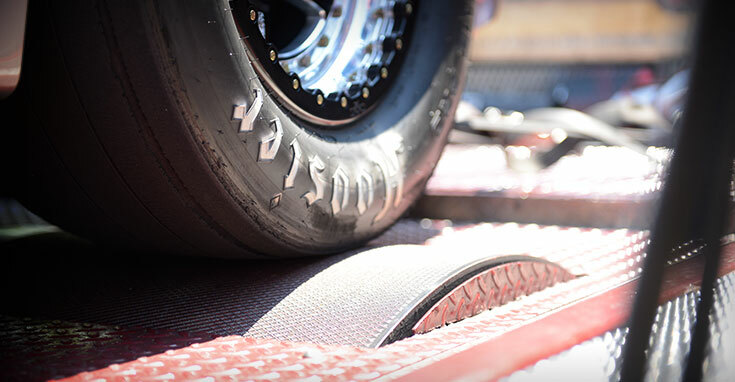 Each of our fully-built vehicles are dyno and real-world proven with a purpose in mind. Our 2004 SVT Cobra is a quarter-mile killer, completely built for the fastest possible 1320 ft. run. We built an elitist 2014 Shelby GT500 to dominate the street with twin-turbos and enough horsepower to easily take the competition out on the road. When it comes to off-roading, our 2011 SVT Raptor is ready for the challenge. Just in case the SVT Raptor wasn’t already the baddest factory terrain truck on the market, we added hundreds of horsepower, armor and some suspension tweaks to literally leave other vehicles in the dust. 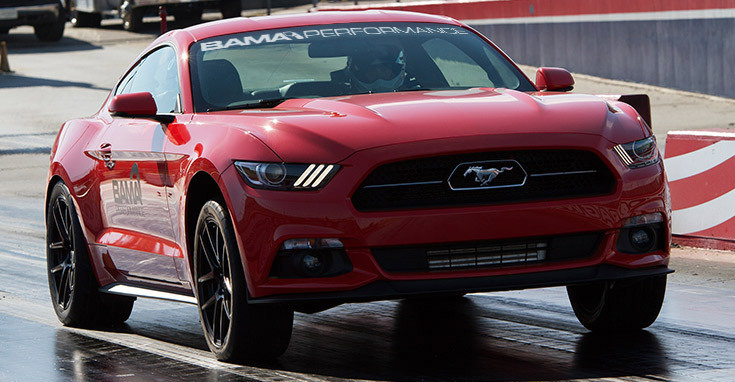 With the highly anticipated release of the 2015 Mustang we were excited to get our hands on one and find out what the new IRS was capable of! With bolt-on’s, a 150 Shot of Nitrous & Supporting mods we were able to run a blistering 9.91 @ 135.4 MPH with a 1.4 60ft! Our 2015 GT is now laying down 687 RWHP through a twin-screw Bama Performance Supercharger Package! HUGE GT500 Mustang Power Gains! 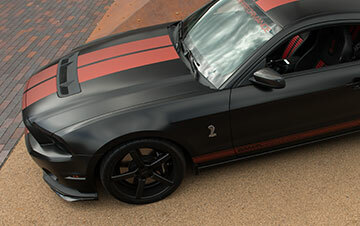 Our Tuning Specialists helped AmericanMuscle.com add hundreds of horsepower to their 2007-2009, 2010-2012 and 2013-2014 Shelby GT500 builds. 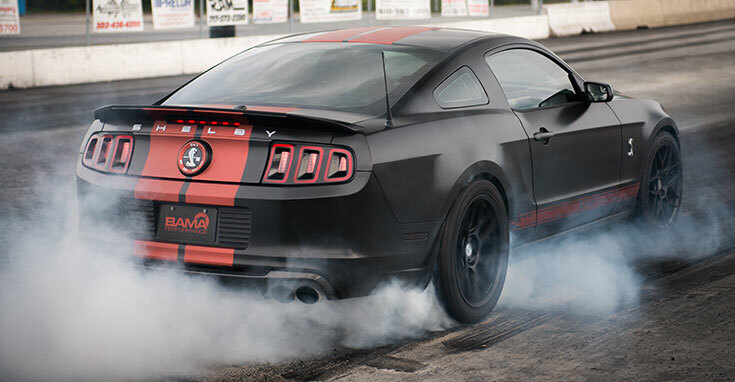 The Bama Performance team took the wheel after stage of the builds using our GT500 tunes to fuel nearly 600HP to the wheels in their 07-12 GT500’s and over 700 HP in their 2014! 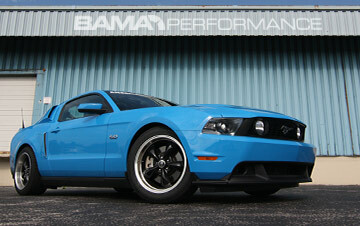 We tune a Bama Performance customer’s 2011 GT on our in-house Dynojet 224xLC. His Vortech Supercharged 5.0L laid down 617 horsepower. With only a Boss Intake manifold and Vortech Supercharger system on 93 octane, our team helped propel this 2011 Mustang GT to over 617HP with the perfect custom tune. 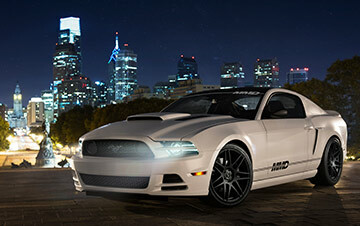 When MMD teamed up with AmericanMuscle to build their 2014 Mustang GT, they relied on Bama Performance to dial in nearly 600 HP to the ground! 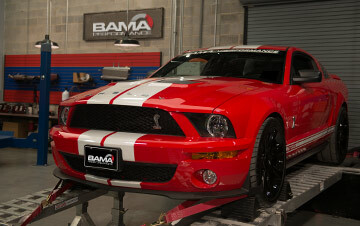 With a completely stock motor and Vortech Supercharger, the Bama team was able to lay down 589 horsepower with our custom tune for this SEMA 2013-featured GT. 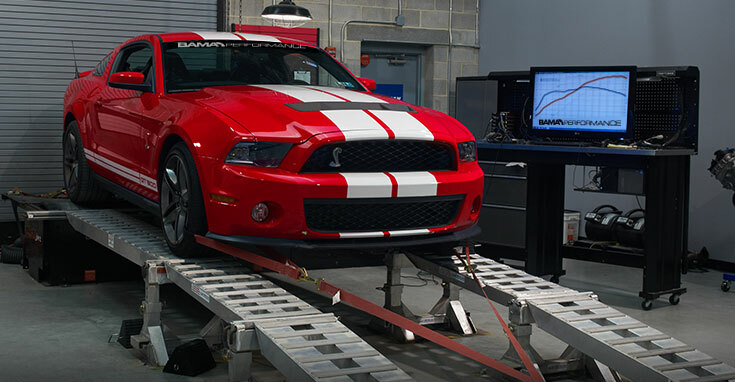 Our testing process starts with dyno proven horsepower and torque gains on both our in-house Dynojet and Mustang Dyno. From quarter-mile simulation and steady-state testing to step testing and wide-open-throttle power, we take advantage of both our Intertia and Eddy-Current dyno configurations for flawless consistency. Both of our dynos are built within controlled environments to simulate numerous environmental conditions. You can rest assured that the Bama Performance team tested your calibrations for every scenario. 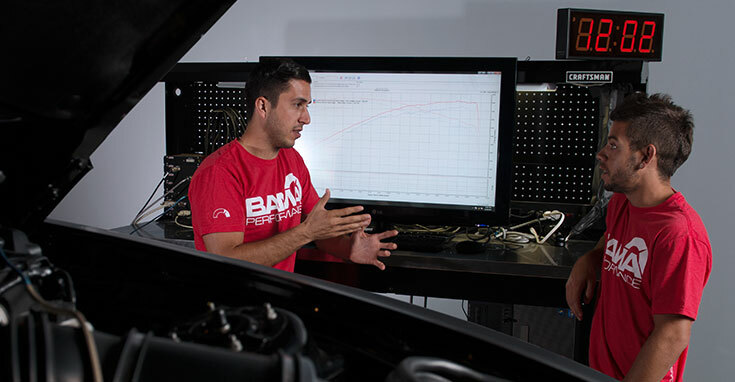 Once our custom tunes have been tested for maximum power and accuracy by Bama Tuning Specialists on our dynos, the next step is to build real world results. With a rich history in racing at the track, our calibrators test and tweak everything down to shifting and rev limiters to verify that our tunes perform under the harshest driving styles. The most important part of your custom tune is perfect drivability and performance in everyday driving. Hours of street testing on each tune helps us make it possible. Every tune we build undergoes rigorous testing to guarantee that you’ll maintain full power control with the push of the throttle, whether you’re speeding up to merge or stop-light performance. Adding horsepower and torque is just the beginning. Our Bama Tuning Specialists build our calibrations on the trail and in the desert to ensure perfect performance in any environment. 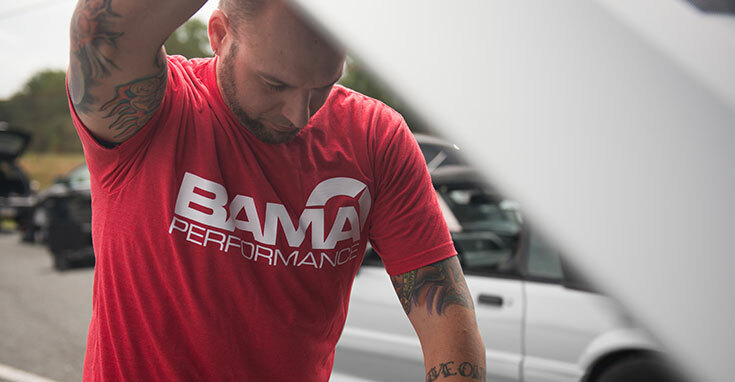 Bama Performance spends countless hours testing and refining our custom tunes on a wide variety of vehicles from our own fleet to custom tuning technology to stay ahead of changes and build the safest and most powerful tunes for your vehicle. Don't just take our word for it! Our team has been fully certified by the leading names in the automotive custom tuning world. Our team is fully trained and certified by SCT and Diablosport in custom tuning for your late-model performance vehicle. Combined with real-world experience and leading support, rest assured that we've got you covered. 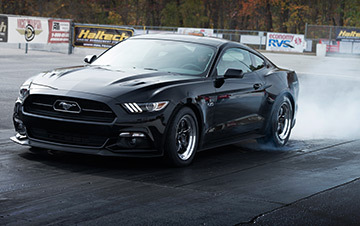 We develop and test all of our tunes on both our Dyno-jet and Mustang Dynamometers. 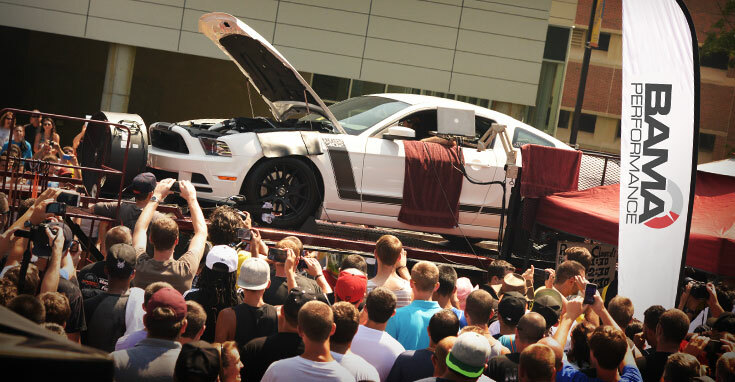 Before we hit the street, we measure the performance of our custom tuning from two different angles. Bama performance has been recognized, cerified or trained by accredited third parties such as Calibrated Success, Inc. and the Society of Automotive Engineers to perfectly custom tune even the most powerful cars.